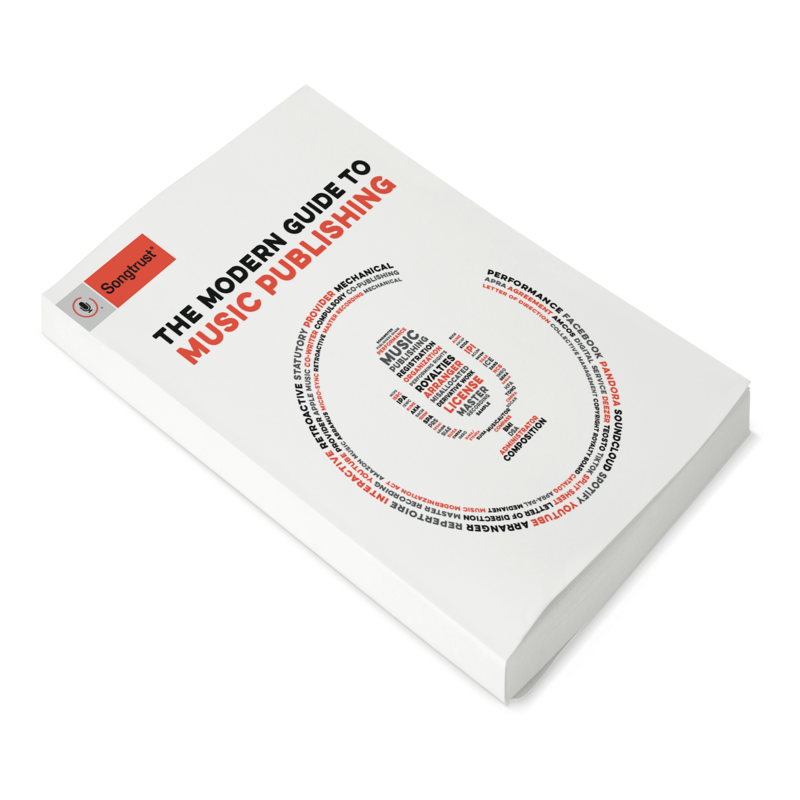 Take a behind-the-scenes look at how easy it is to collect your publishing royalties and get back to creating. Register once with Songtrust and we’ll register one song or your entire catalog globally, collecting the maximum amount of publishing royalties on your behalf, everywhere your music plays. Even if you're affiliated with ASCAP, BMI, SESAC, PRS, SACEM, or other collection societies, and/or have your own publishing company, you can gain new revenue streams from our direct relationships with 40+ performance, mechanical, and digital licensing organizations across 120+ territories. Get paid more accurately. When you register a song, you can add any recordings of that song, including covers by other artists. We deliver these to digital services and societies, ensuring your works are properly registered and that you know exactly where your royalties are coming from. Our digital licensing team is continuously engaged with services and new players in the market to make sure your rights are properly managed. Track song performance to see how many streams, units, or performances make up your royalties and sort them by income, source, and location. You can also get royalty estimates for the upcoming quarter, request express payments, and download statements to keep your finances in order. Claim your composition royalties within YouTube videos, including covers, live recordings, and background music. Songtrust automatically searches the channel, so you can start collecting your share as soon as videos are posted. Plus, we’ll alert you when your work goes viral. Tell us what, where, and when you played, and we’ll ensure you earn royalties from your performances around the globe right through our dashboard. Your set lists are always saved so you can keep track of shows and easily resubmit set lists from show to show. Empower your team to take an interest in the serious side of music. With Access, you are giving them songwriter information, the royalty report and split details visibility, in addition to the power to amend songs. One login. One account for payments. For bands or groups, Songtrust gives you access to manage multiple users on one account and detailed royalty statements that break down what each individual earned. You can always split songwriting credits with non-Songtrust co-writers for free, but they’ll be responsible for collecting their own royalties. Benefit from better rates and more accurate payments. We’ve struck deals with some of the largest digital service providers to help you avoid sub-publishing fees and maximize revenues. You get paid quarterly, 90 days after the close of a quarter, and you always maintain 100 percent of your copyrights. We’ve designed Songtrust to demystify the music publishing process and to make it as easy as possible for you to collect the royalties owed to you. Once you add a song, we do the rest, ensuring your data is not only correct, but secure, and that you’re automatically collecting royalties from as many channels as possible. Find out why over 150,000 songwriters and more than 20,000 publishers trust us to represent 1 million songs—and are adding more every day. See how our simple terms and transparent pricing work for every songwriter and music business entity. Register Your Account. Start Collecting from Our Global Music Publishing Network. Register an entire catalog or only songs you want Songtrust to represent. Easily add your compositions via our platform’s tool, plus add recording information of your work and covers of your songs right from digital service providers like Spotify. Everything else is automatic. As soon as you register, you have direct access to the Songtrust Support Team via our chatbox. You can also find articles (new ones are added nearly every day) in our FAQs. FAQs, YouTube tutorials, webinars: Free resources help you get up to speed in minutes. Our in-house experts also offer insights that go beyond music publishing, covering need-to-know terms, recording contracts, and more. Safeguarding the confidentiality and use of your personal information is our top concern. Administrative, physical, and electronic measures are in place to protect data, including transaction encryption, firewalls, and limited administrative access.